Whether imagination, historical artifacts, or another source serves as the starting point, I love creating dynamic 3D models and bringing them to life using animation and 3D printing. Here are brief overviews of two of my favorite 3D modeling projects - the Autodesk Spark 3D Logo and the Bespoke Fashion Items. Develop a 3D logo that represents the qualities of the Autodesk Spark brand, including professional-grade 3D creativity. Designed the following logo, which in addition to serving as Spark's 3D logo, was featured as the object being printed on Ember's build plate on Ember's product packaging and in promotional materials. I used both ZBrush and Meshmixer to design this logo, which combines mathematical, mechanical, and organic design elements into a single form. Below is a time-lapse of this logo being 3D printed on Ember, using a process called stereolithography. Develop a hands-on understanding of the design and fabrication processes and workflows of Autodesk Ember customers. To achieve this, I would use 3D modeling and 3D printing to create a commercial-grade bespoke fashion item from scratch. Created a retail-quality brass belt buckle with the motif of a Gandhara-style Buddha, using a combination of photogrammetry, 3D modeling, 3D printing, investment casting, and traditional metal-working. Also 3D modeled, printed, and investment casted a Taurus pendant, a hexagonal-pattern ring, and a pair of cufflinks. 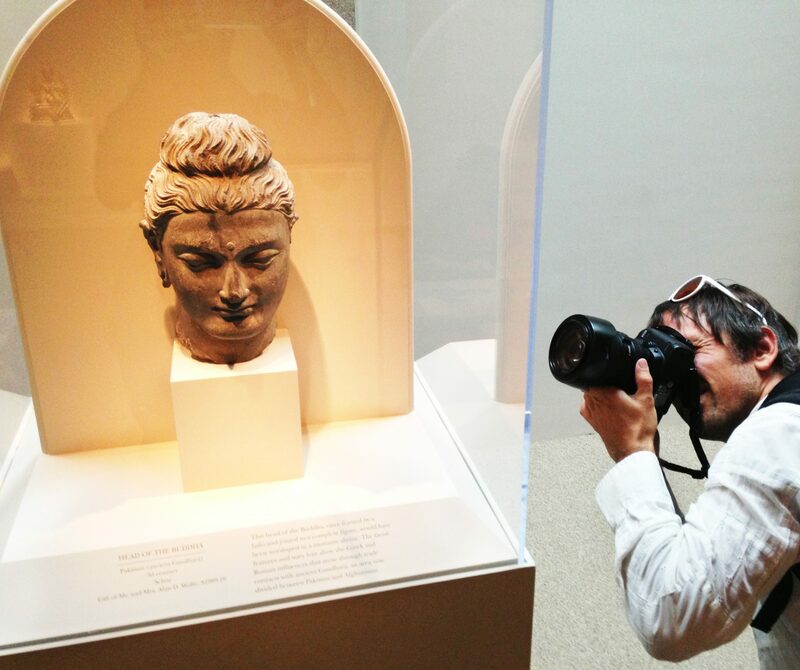 At the Freer-Sackler Gallery of the Smithsonian Institution, I shot an array of photos of a 3rd century Gandhara-style bust of the Buddha, capturing as many perspectives as possible. Historical side-note: Gandhara-style Buddhas exhibit the influence of the Greco-Roman art that was brought to the Indian subcontinent in 326 BC by Alexander the Great. When the goal is to create a photorealistic 3D model of a stationary object - effectively cloning it in 3D - photogrammetry is one of the best options. To create the model shown in this turntable, I fed 45 high-resolution photos into the photogrammetry software (Autodesk Remake). The result was a model with astounding detail that served as the motif for my belt buckle. Building upon the photogrammetry-derived geometry of the bust of the Buddha, I used ZBrush to create the 3D model of the belt buckle. Once created, I decimated the object (reducing its polygon count), exported the object as an .STL, and repaired the file, preparing it for 3D printing. I then 3D printed this model on a variety of 3D printers, including an alpha version of Autodesk Ember and the Statasys Objet. I also modeled and 3D printed other objects, including my hexagonal pattern ring, honeycomb cufflinks, and Taurus pendant (shown on the work-table, below). I then had the 3D printed objects investment casted in bronze. I cut off the sprues, ground down the rough edges, and gave it a fine polish, as you can see below. In this time-lapse, I'm using ZBrush to model a Taurus pendant. I then 3D printed it and had it investment casted in silicon bronze, together with the belt buckle and other fashion objects shown on the workbench, above.